Joni Mitchell by Reprise at WA Tunes. MPN: RS6293. Hurry! Limited time offer. Offer valid only while supplies last. Format: Vinyl LP album. Reprise Records, German release no date. Re-issue of 1968 classic acoustic rock from singer songwriter Joni Mitchell. Format: Vinyl LP album. Reprise Records, German release no date. 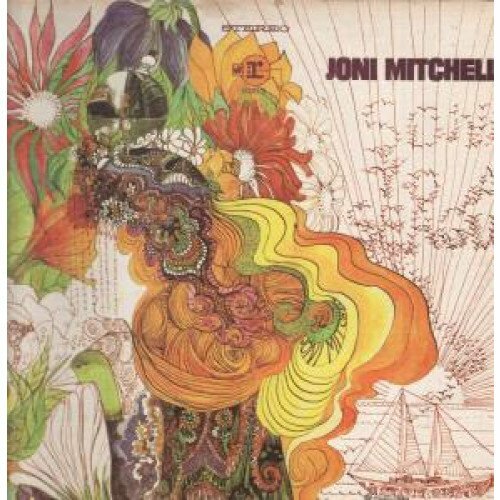 Re-issue of 1968 classic acoustic rock from singer songwriter Joni Mitchell. Produced by David Crosby. Sometimes known as: Song To A Seagull. 10 tracks. Very nice fresh copy. No barcode.